I usually try to get our holiday books read, and checked back into the library quickly, so others will have a chance to read them too. But, I've made an exception for Jack Prelutky's It's Snowing! It's Snowing! Winter Poems. Technically though, it's a winter book, and not necessarily a Christmas book, so there's still plenty of time for anyone waiting for it, to read it before winter is through. It's a Level 3, I Can Read Book, so good for beginning readers (especially if they only read one, short, poem at a time). Though, the children have enjoyed listening all the way through the book too, with one poem flowing into another. 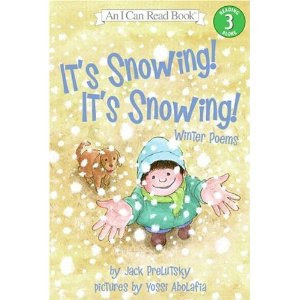 The poems are fun, and playful, and as the title suggests, wintry. And, thinking of poetry, I checked out Chris Rashka's, e. e. cummings inspired story, Little Tree, on a recommendation from Christy at Superheroes and Princesses. I read through the story first, on my own, and didn't care for it. But, the children pulled it out last night, and asked me to read it, and I found, reading it out loud, I like it a lot better. The word "little" is repeated continually through the text, in a way, that when read aloud, gives it a lyrically poetic quality. The story itself, is about a little tree realizing it's dream of becoming a Christmas tree. The children enjoyed the text, but A (age 9) yelled out at the end, " Doesn't it know what happens to Christmas trees when Christmas is over?" 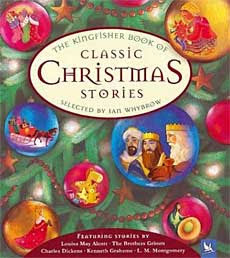 Which reminded me, that we had a story right along those lines, and I ran, and pulled out The Kingfisher Book of Classic Christmas Stories, so I could read them Hans Christian Andersen's The Fir Tree. It is another story about a tree dreaming to become a Christmas tree, but if you know anything about Hans Christian Andersen's stories, then you know it doesn't end well for the tree. I think it might be one of my favorites of the Christmas stories we've read so far, though I am very fond of The Legend of La Befana, too. It is actually a warning not spend all of your time anticipating what's coming, and dreaming of the future, at the expense of present, and it is very good. The tree doesn't learn this lesson until it is too late, and finds itself a dried out shell of a tree, sighing with regret, from the burn pile, in the spring - to which the children exclaimed in unison, "That's a terrible story! Why did you read us such a terrible story?" 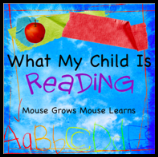 For more children's story reviews, and recommendations, check out this week's What My Child is Reading blog hop, hosted by Mouse Grows, Mouse Learns. The Anderson story sounds like Christmas movie I watched this week, which ended with me saying "That's a terrible movie, why did we watch it?" I loved A's comment about the tree. I love the way you used the comment from your daughter to further the reading experience, and I love that they yelled out together about the terrible story. I remember doing a literary analysis of Hans Christian Andersen's work in school. I bet most people think the Disney endings of the fairy tales are accurate. I agree that Little Tree is a book that has to be read aloud. I think I like the book mostly for the e.e. cummings poem, but we do enjoy the story too. I also like to see the creative process - an author inspired by a poem interprets it into a picture book for children. That is interesting to me. We own a few Jack Prelutsky books, but we haven't read that one. I'll look for it. 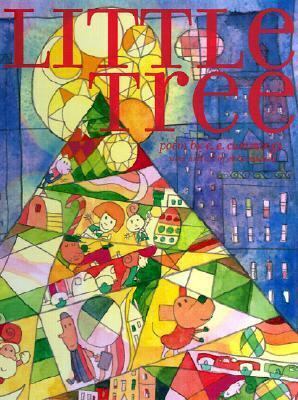 Little Tree has been one of my favorite Christmas books for a few years. I love hearing the comments of your kids to what you're reading. Visiting from the blog hop. Big haha on Andersen story. We just saw an episode from Fantasia 2000 on Steadfast Tinfoil Soldier, and I kept saying to my husband, "Gosh, I hope it won't end the way original story ends". Luckily, it ended well :) I have to get that first book! What great text to life and text to text connections they are making! Browsing and ready literature and poetry about christmas is one of my favorite past time during holiday. I really enjoy writing short Christmas poems too. Hope you guys have a great holiday!